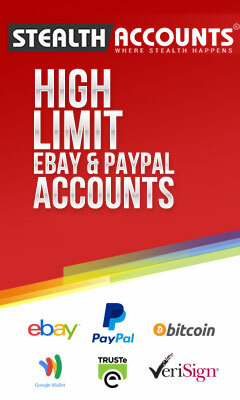 You can sell products on eBay and Amazon and make quick sales. The downside is that you’re stuck in their limited world of high fees and ever expanding rules on what you can and cannot do. Not to mention the HIGH competition and fraud you can experience. It’s a great starting place for anyone new to making money online and I encourage you to use this method alongside other ventures you take up but it’s not a long term growth business. Freelance work can vary in its ability to make money online. You’ll find that the competition is tough and the pay is not as good as you’d like, but the demand for quality professional services will always be there. Jobs include niche content writing, help-desk services, researching, coding, design, marketing, etc. It’s a high demand job in which you’ll be working for someone else, usually by the hour. I don’t know about you, but working for someone else and limiting my income potential doesn’t excite me as much as working for myself. What is Affiliate Marketing? Affiliate marketing is a marketing practice in which a business rewards one or more affiliates for each visitor or customer brought about by the affiliate’s own marketing efforts. Affiliate marketing (promoting another person’s product for commission) is a great way to make money online. It’s harder to do without a website, however. Don’t look at affiliate marketing as the end-all to making money online; look at it as the icing on the cake. You’ll want to focus on your main product or service first and then use affiliate marketing for increased income.The sky is the limit to how much you can earn with affiliate marketing when done correctly. Most people make money in business by reselling someone else’s product or service as an affiliate or retail merchant. After a while, though, you’ll learn that having your own product can be much more profitable than reselling other people’s products. And it can be anything really: a service, physical product or even a digital product. The demand obviously has to be there, and you’ll have to do the proper niche research, but imagine combining your own product(s) with affiliate marketing! This is where you start making big money! Example: You have a product; let’s say it’s a custom iPad case. You have a website where you sell this product. Now as a customer goes to checkout on your website, your shopping cart will automatically offer them a second related product they may like (let’s say you sell a custom stylus pens as well – I just bought one myself a couple weeks ago and love it.) They add this item to their cart and continue checking out. You just sold an extra item by cross-selling, and the customer loves your products and would happily recommend your website and listen to any other offers you may send them. And that’s what you do by following up with email (email marketing). Some time later you send a friendly email asking about their experience (which can be automated) and you subtly mention a product they may be interested in (as an affiliate or it could be your own product). You choose a product related to their first purchase; let’s say it’s a screen protector. They buy it because they TRUST you, and you continue to make money off this one customer. You have the potential to keep selling to this customer for years, promoting your own products or other people’s products as an affiliate marketer. You can’t do this with sites like eBay or Amazon. 5. Selling in Forums, Bulletin Boards, Classified websites, etc. 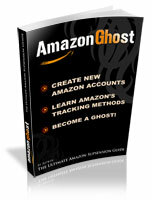 Unlike selling on sites like eBay and Amazon, this method is usually free or has minimal costs. The only difference is the additional overhead you may have. You have to be on top of your marketing or your sales will slip. I like to use forums to sell niche related products and services. Let’s say you find a forum for people who have Bulldogs. What sort of service could you offer these people? The easiest way to figure that out is locate the most viewed and commented threads in these forums. I can tell you right now that anything dog related is hot and won’t ever go away. A topic that comes up often with people who have dogs is dog training. Maybe you’re a dog trainer and can offer your advice to these people. And that’s the BEST way to use these types of forums: you offer your advice and in addition you add a link to your product or an affiliate product that you recommend in your forum signature. One step further would be to instead send these people to a squeeze page, collect emails, and market to these people for years with products they’re interested in. That’s how successful internet marketers think. When you become a trusted forum member, people will naturally want to know more about you and the products and services you can provide that will help them. It’s this trust that will enable you to easily sell to these people like there is no tomorrow. The only problem is that forums don’t like spam. You have to offer quality advice and never directly push your product or service to members or you can be booted from the forum. Selling in forums and classified sites is an art. Yes, blogging can make money. What most people don’t realize though is that it can take YEARS before you build up your brand and have enough visitors each and every day to warrant creating a product or promoting affiliate products. You can’t just start a blog, slap on dozens of ads and expect to start making money right away. You have to build up your followers first and then give them what they want. The aspkin.com blog started in 2003, and, believe it or not, it didn’t start making money until 2008 when I added a forum to the site. Blogging is a great way to build up your company brand — it’s a great addition to any business — but it’s not the business itself. Like affiliate marketing, use blogging as a tool rather than an end in itself. People make money by SELLING something (in one way or another). Blogging can be a platform to reach your customers, capture leads. It’s not the most efficient platform, but it has a lot of potential if you have the patience. You can sell on 3rd party marketplaces like eBay and Amazon and make money, but you’re limited in what you can do and how much money you can make. With your own website you’re building something that won’t disappear overnight, and as your website grows so does the amount of money you can potentially make. Selling a product or service is how a person makes money, right? A lot of the methods I’ve talked about will require a website to be effective. You want to be able to collect emails and send out offers to your subscribers. You want to have a central location your customers can easily find you. You want to have a professional look in your customer’s eyes, with your own website the sky is the limit. I talk about these strategies and more in my make money online course: Six Figure Boss, at the time of this writing I’m wrapping up the membership site and it will be available shortly. Throughout “Six Figure Boss” I give you tips and tricks to maximize your online income. I encourage you to include several if not all the strategies listed above in your business. Your goal is to eventually have multiple steams of online income. I know some of this may sound daunting or even impossible for some of you, but remember at one point we all start from nothing. The people making the big bucks today had only an idea and they took it upon themselves to take action and become a success. I’ll show you exactly what I’ve learned over the years as an Internet Marketer. I don’t consider myself an expert in all fields of marketing but what I do know I’ve learned from actually doing. Everything that I’m going to show you I’ve done and what you’ll read is my experience in its success or failure. I’ll show you step-by-step exactly what you need to do in order to create a successful online business in just weeks. Yes within weeks or even days if you’re fast enough I fully expect you to have your business online and taking orders! I’ll show you what you need to do to take action now; I’ll give you what no one else has given you to make sure you’re a success. I’m getting excited now… I hope you are too! If you want to learn more, head over to Six Figure Boss where I expand on this greatly and show you step by step how to get started today. 2 Comments on "7 Methods to Make Money Online"
Why is the website sixfigureboss closed? How can I reach it?